This easy-to-piece bed quilt will help you use up your beautiful batik scraps. 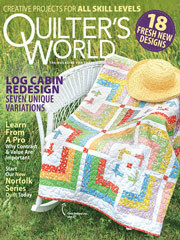 This e-pattern was originally published in the August 2010 issue of Quilter's World magazine. Size: 74" x 98". Block Size: 6" x 6".